MEXICO CITY (Sputnik) - New President of Colombia Ivan Duque said he wanted to make changes to a landmark peace agreement with leftist rebels. Duque was sworn into office on Tuesday. "We will make corrections to those structural errors which surfaced when applying the accord. The victims [of the conflict] must receive moral, financial and economic compensation from executioners," Duque said at the inauguration ceremony. Colombia's new leader said that within a month his government would also assess peace negotiations underway with National Liberation Army. 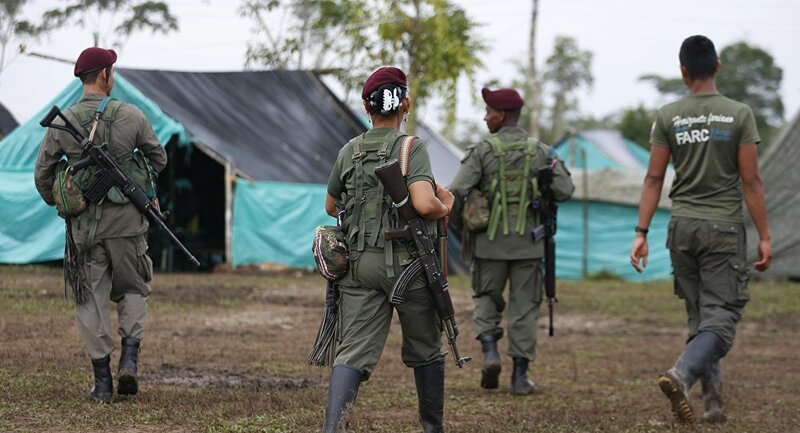 The Revolutionary Armed Forces of Colombia (FARC) rebel movement waged a revolutionary struggle against Colombian authorities for over 50 years before signing a historic peace accord in 2016. Previously, Duque promised that he would respect the peace accords with the Revolutionary Armed Forces of Colombia signed by then-President Juan Manuel Santos.